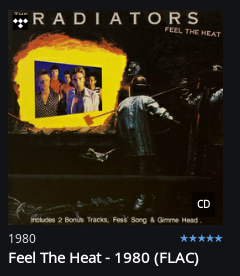 Are you able to ask your metadata provider to created “The Radiators (Australia)” ? Thanks for clarifying that! 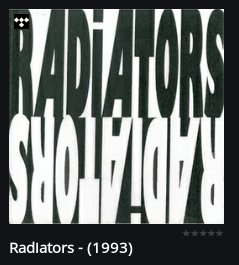 It looks like TIDAL has these albums incorrectly associated with the other “The Radiators”. If this was corrected by TIDAL, things would appropriately show in Roon. For reporting these types of issues, it’s best to reach out to TIDAL support and requesting that they make a change. haha brilliant, it takes 10 months to be told that it’s not your problem ! You have our sincere apologies for the troubles here. Just to clarify, there was a problem on our end as well. We implemented some changes as I mentioned here that made it so The Radiators that you mentioned were not grouped with the incorrect The Radiators (among many other similar examples of this type of behavior). On our end, for the albums we have metadata for from our providers, this has been resolved. The data we receive from our providers, unfortunately, doesn’t encompass all albums from this artist. There are some cases, like the example above, where TIDAL has an album from the artist but they incorrectly associate these albums with the other The Radiators as we once did with the albums we have from our metadata providers. TIDAL customer support should be able to make a similar change on their end which will assign the albums appropriately. Once that change is made, it will reflect in Roon shortly after. Additionally, there is the option to manually edit these albums by using the Create Artist function, as mentioned above. By doing so you can create the proper The Radiators in your library. Again, you have our sincere apologies for the trouble here, Christian. If you have any other questions about this please let feel free to reach out.